Because of his Declaration dated November 21, 1974, Archbishop Lefebvre saw the suppression of his Society of St. Pius X on May 6, 1975. His canonical appeal of that decision was rejected. Cardinal Jean Villot, Secretary of State to Paul VI, soon forbade all bishops to enroll Archbishop Lefebvre’s seminarians in their diocese. On June 29, 1976, by ordaining 13 priests who were not incardinated, the archbishop incurred a suspensio a divinis. 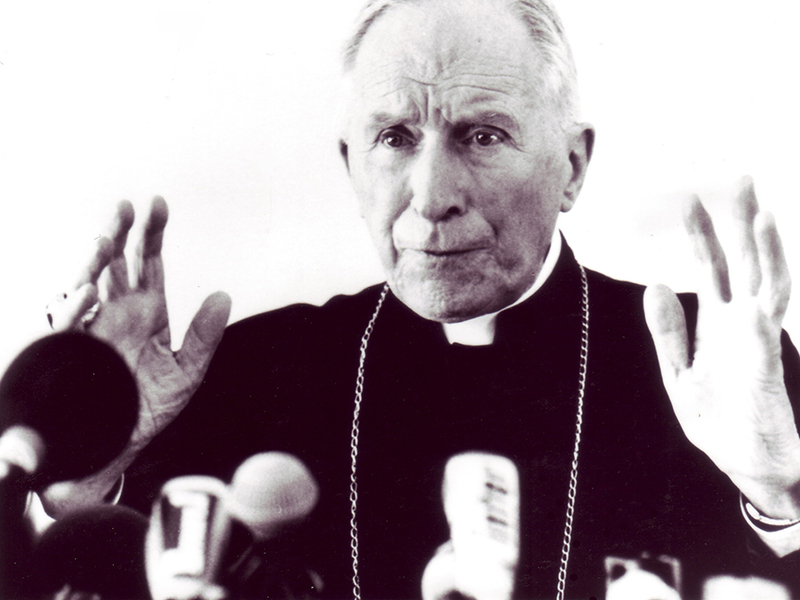 At first very upset, the archbishop reacted with this witticism: “This suspension forbids me to say the New Mass!” Finally these measures, which were supposed to put an end to Archbishop Lefebvre’s activity, made him world famous and gave his work an unexpected boost. 1. Letter to the future bishops, August, 29, 1987; reprinted in Tissier de Mallerais, op. cit., pp. 625-626. After his refusal to say the New Mass, Archbishop Lefebvre found himself at odds with Rome. On June 30, 1988 Archbishop Marcel Lefebvre consecrated four bishops for the Society of St. Pius X. "We are in a truly dramatic situation. We have to choose between an appearance of disobedience (...) and the abandonment of our faith. We choose not to abandon our faith, for in that we cannot go wrong. In that which the Catholic Church has taught for 2000 years, the Church cannot be in error. It is absolutely impossible."